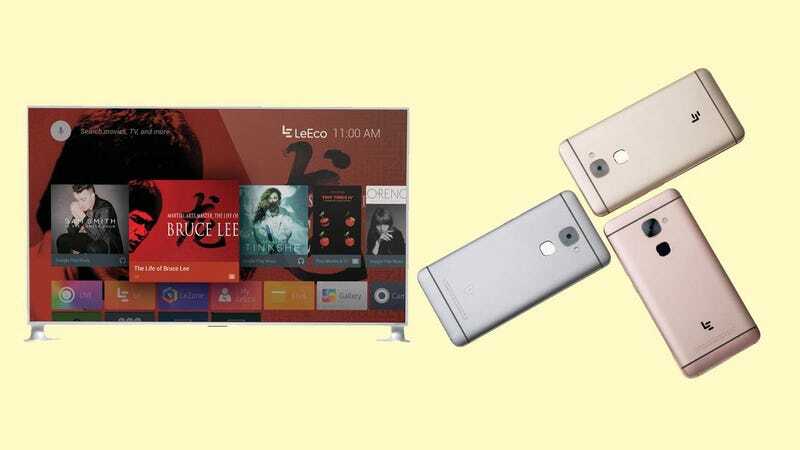 Last month, Chinese consumer electronics giant LeEco made a splashy entrance into the US market, showing off its plans for super cheap TVs, smartphones, an electric bike, and VR. It was even supposed to show off its Faraday Future electric car, but that didn’t end up happening. No company has had such an experience, a simultaneous time in ice and fire. We blindly sped ahead, and our cash demand ballooned. We got over-extended in our global strategy. At the same time, our capital and resources were in fact limited. We are starting to see signs of big company disease, such as low individual performance and organizational redundancies. In order to realize the rapid and positive growth of the Eco operation, we will cut costs to reinforce the awareness of capital control and efficient operation. This shouldn’t be completely surprising. The products that LeEco is putting out are, by all accounts, high-spec and high quality. But the prices are extremely, extremely low. For instance, LeEco’s high-end $5,000 4K TV is comparable to models that cost twice as much, and its Le Pro 3 smartphone will retail for just $400, a full $250 less than a nearly identical-specced Google Pixel. That’s before we get into all the other areas that LeEco wants to get into. The car story alone, through both Faraday Future and its Tesla-like in-house concept, has surely cost huge sums of money. As Jalopnik pointed out last month, despite all the hype, there is still very little to show for either project. Selling good products for super-low prices is awesome, but at a certain point, you have to make money. It’s not clear what this recent hiccup means for LeEco’s US ambitions, but one would that the company will continue its plans—albeit at a slower, more measured pace. Update 1:30 p.m.: I just got off the phone with Danny Bowman, LeEco North America’s Chief Revenue Officer. Bowman wanted to put a few things about the announcement in context of plans for the United States. Bowman says that for LeEco as a global company, its prioritizing its efforts in the United States, China and India. He also stressed that “everything will continue to be on track with the announcement we made with Vizio,” in regards to its plans and its regulatory filings.